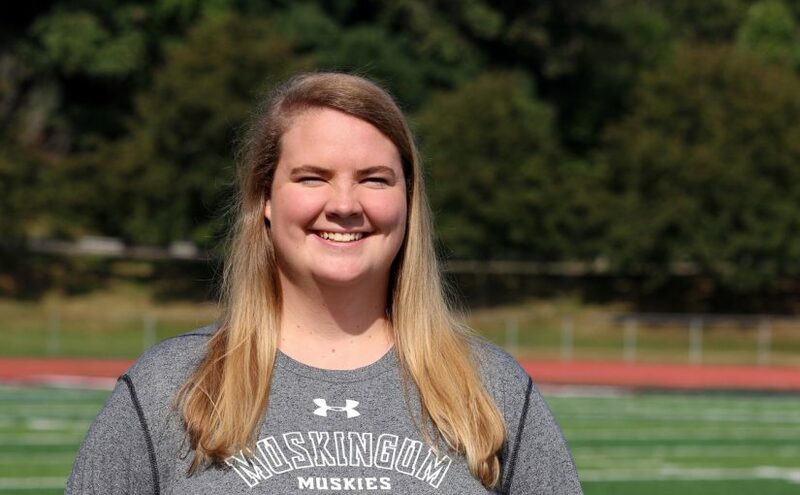 NEW CONCORD, Ohio- (University Press Release)– Muskingum University has named Taylor Graf head coach of the women’s lacrosse team. Last season, Graf served as the assistant coach for the Muskies. Three of the top players that have been through Muskingum women’s lacrosse program, Ashley Adams, current senior Kaeleigh Norvet, and Paige Watterman, were coached under Graf’s leadership. This past season, Adams set the school record for goals in a game with seven and points in a game with nine against Thiel. Adams finished her career with a record-high 145 goals, a record-high 59 caused turnovers, and finished third in assists with 14. Norvet finished the season second in career-goals with 93, third in caused turnovers with 26, and second in assists with 16. Watterman ended her career with a record-high 20 assists, third in career-goals with 72, and second in caused turnovers with 44. While Graf was the assistant, the Muskies set the school record for assists in a game with six and tied the school record for goals in a game with 21. Before joining the Fighting Muskies coaching staff, Graf played for one year at Southern New Hampshire University and three years at Keene State College. While at Keene State, she was a three-year letterwinner and captain. Graf, a Second Team Little East selection, holds the Keene State women’s lacrosse single-season record for assists. Additionally, she was the NCAA national statistic leader for assists her junior year. In the classroom, Graf earned All-Academic accolades and was a Dean’s List honoree. She graduated from Keene State in 2017 with a double major in elementary education and communications. Prior to her collegiate experience, Graf served as a lacrosse instructor for the Hanover Youth lacrosse program where she assisted in organizing practices, coaching fundamentals, and administrative duties. Muskingum also announced that men’s lacrosse head coach Alec Chisholm will now serve as Director of Lacrosse Operations at Muskingum.